Our main travel guide for Athens, the capital of Greece. 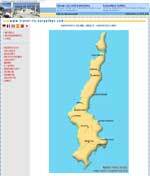 A similar travel guide about Rhodes island, the capital of the Dodecanese complex. A travel guide to Kos island. A similar guide to Leros, the closest island to the South at a distance of less than 10 miles. There is a daily boat connection. 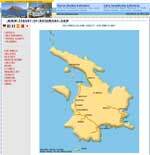 A similar guide to Kalymnos the next island in the row of the Dodecanese to the South. A similar travel guide to Karpathos the last of the Dodecanese islands to the South.